My friend Troy from Life Changing Docos has put together these two great events, if you get the opportunity to go along I am sure you will get a lot out of it! 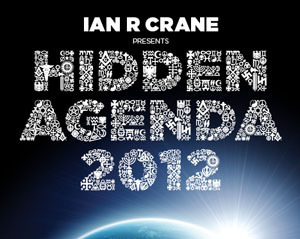 Presenting IAN R. CRANE for the first time in Australia. Please join us for two informative and engaging events with International lecturer in Deep Geopolitics, IAN R CRANE, and discover the Hidden Agenda and Symbolism behind 2012 – a full day on the Gold Coast and an evening talk in Brisbane. The hidden agenda behind the world financial crisis. and the natural health industry. peak oil myth, carbon trading scam and more. The Fracking Nightmare and what Australia can expect. Previous post: Grab a $1 Membership & Receive $147 Worth of Bonuses!